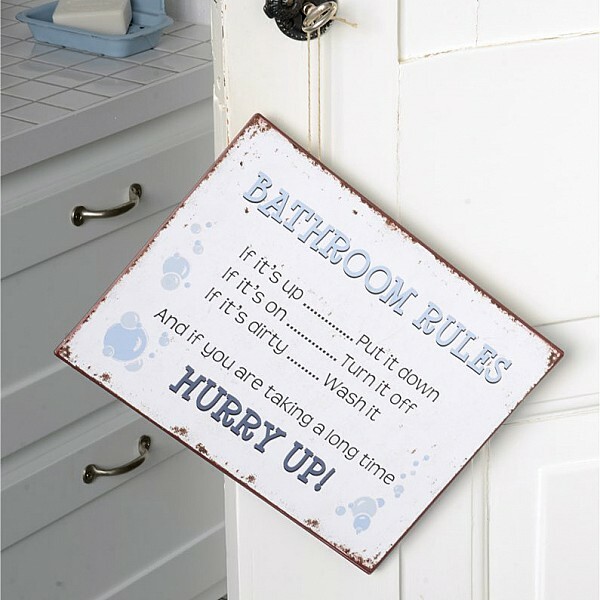 Plåtskylt Bathroom Rules - Hurry up! Plåtskylt i vintage stil med rolig text "BATHROOM RULES If it´s up ... Put it down If it´s on ... Turn it Off If it´s dirty ... Wash it And if you are taking a long time HURRY UP!". Fin skylt till badrummet!